It's always fun when your prop is tasty. Hiya! I have found your url @ Kim's TT :) and wanted to have a peek. What a lovely blog you have, full of gorgeous photos! Congrats! Cheers from an Italian expat in Scotland. Very yummy - makes everyone happy! So cute! 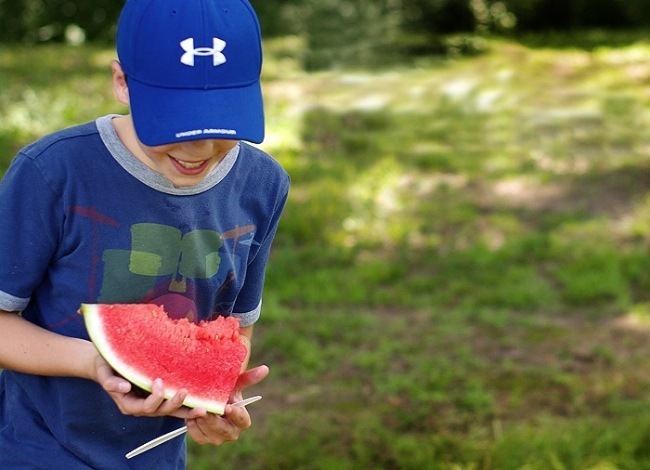 I need some watermelon pics with thkids, but they always eat it before I get there with the camera.